The technology of concentrated solar power (csp) has been around for a long time. Augustin Mouchot pioneered its use in the 1860’s and Frank Shuman built an impressive system in Maadi, Egypt in 1912. I’ve long been a strong advocate. However prices remained high as rates of deployment were low, and rates of deployment were low because prices were high. This is now changing fast as several countries and companies compete to bring forward the technology. Over the last few years there have been significant price reductions of projects in Chile, Dubai, Morocco and elsewhere as the technology improves. In February I blogged about China starting work on 20 demonstration projects, and as they establish a supply chain of mass produced components prices will continue to fall. 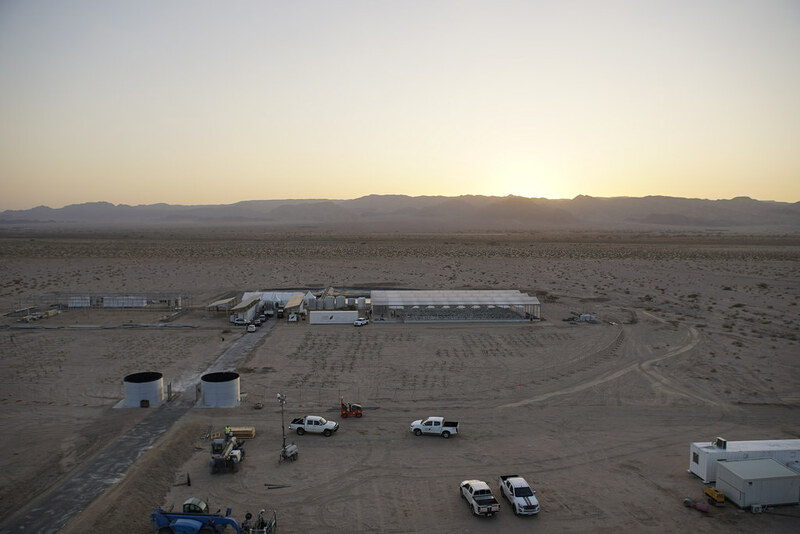 Concentrating solar power has the advantage over solar pv and wind in that energy storage is typically built into the projects so they can guarantee to supply electricity 24 hours a day. As techniques of thermal energy storage improve the advantages of concentrating solar continue to improve. Some very big schemes are currently under construction or have been announced. At Ouarzazate in Morocco a 580 MW plant is being built in four stages, the first of which is already in operation. In Dubai they are planning a 5 GW mix of solar pv and csp. 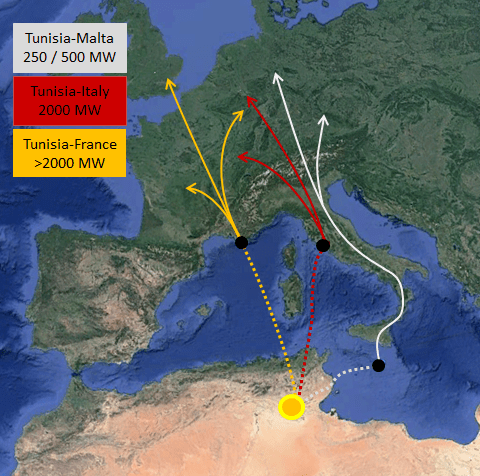 In 2014 I blogged about TuNur’s proposal to build a system in Tunisia which recently took a step forward as they applied for a permit to build a 4.5 GW plant over three stages, the first exporting electricity to Malta, the next to Italy and the third to France. A couple of weeks ago the Northwest Electric Power Design Institute proposed to build a vast 7.4GW CSP facility in Akesai County, in China’s remote Xinjiang region. The Paris Climate Agreement incorporated the ambitious goal of keeping global warming to less than 1.5 degrees Centigrade. In many ways governments are failing to implement the policies necessary to achieve this objective. Collectively we are failing to curb our wasteful and profligate lifestyles. However there is one area where the news is consistently very good and that is the speed with which renewable energy is progressing. As the costs of renewables continues to tumble coal, gas and nuclear are all failing to compete. In UK the falling cost of offshore wind received a lot of media coverage, undermining the viability of the government’s commitment to Hinkley and further nuclear power projects. In India numerous coal projects are being abandoned as India embraces cheap solar pv. The falling cost of concentrating solar power has received less media coverage, but is of just as great significance. If these giant csp projects all go ahead they will displace a lot of fossil fuel usage which of course will be very good news from a climate change perspective. If they are done with the right social and economic policies in place they could also transform the lives of many people, especially in poorer countries like Tunisia. This entry was posted in Climate Change, Energy on 25 September 2017 by Richard. A couple of weeks ago the Sahara Forest Project announced the opening of an exciting new facility at Aqaba in Jordan. It takes forward the concept of solar powered desalination and energy generation to make possible highly productive horticulture in hot dry deserts. This project has been a long time in the making; in February 2011 I blogged about seawater greenhouses and flagged up plans for a project near Aqaba. In January 2013 I wrote a blog about the Sahara Forest Projects excellent one hectare experimental project in Qatar. In October 2016 I wrote a blog about Sundrop opening the first commercial scale solar powered desert based horticultural project opening at Port Augusta in Australia. This new facility at Aqaba only has 3 hectares of glasshouses, with plans to expand to 20 hectares in a possible stage two of the project. This Friday, 22nd September, I’ll be giving an updated version of my talk ‘Can We Feed Nine Billion People Sustainably?’ Of course my answer is an emphatic ‘YES’ with a few big ‘ifs and buts’. One of the ideas I’ll be including in this talk is how humanity might invest in some very big projects that could combat multiple problems simultaneously, from climate change to poverty, war and the factors creating so many refugees and migrants. One example I want to explore with the live audience is how one might invest say, £100 billion, or a trillion, to expand a project like this at Aqaba into thousands of acres of solar power, greenhouses, orchards and farmland in the desert and forming the basis of a new type of city devoted to sustainable and socially inclusive prosperity. Jordan currently hosts a very high number of refugees in a very generous way, especially given the poverty of many of its own citizens. Theoretically I want to explore if we could bring this entire population of about nine million people living in Jordan up to a Scandinavian standard of living and do it in ways that provided a model for other countries to follow? If you’re in Leominster this Friday do come and listen, ask questions and join in the discussion. I learn so much from your feedback. This entry was posted in Food & Farming on 20 September 2017 by Richard. As a child I recall my sense of outrage at the damage humanity was doing to the natural world and the injustice and violence we were doing to each other. I wrote to Lynden B Johnson to protest the bombing of Vietnam and was horrified as Russian tanks rumbled into Czechoslovakia to crush the Prague Spring in August 1968. I gave my first talk on climate change, habitat loss and the macro ecological impacts of industrial civilization in 1972, to the school sixth form assembly, while studying for my A levels. Going to university, having a career or starting a family all seemed rather pointless. After leaving school I wanted to explore other ways of seeing the world and other ways of living. I had no money. Hedonism or pre-packaged belief systems were not for me. I wanted to try as diverse range of jobs as possible in as many countries as possible, and to live as frugally as possible in order to save money for further travel or self directed projects. In order to come close to other cultures it felt best to travel alone, forcing myself to communicate with as wide a range of people as possible. I hitch-hiked back and forth across Europe, working on vineyards in Luxembourg and France, cleaning hotels and working as a waiter and building labourer in Germany. My father had been in a German prisoner of war camp, my uncle killed in the Second World War and my grandfather injured in the First. It was important for me to build strong relationships with Germans. In my confused and youthful way I wanted to explore how one might live that old hippy adage, ‘make love not war’. I rejected the damage coming from capitalism and communism. I lived in Berlin partly in order to have frequent access to the communist East, where I went most weekends. At 21 I bought a one way ticket to Cairo and started on a series of long overland trips across Africa. I thought of settling and living in Kenya. I was humbled by the extraordinary hospitality and generosity of the very poorest Africans. I recall being the only white person sleeping by the railway tracks in Khartoum and sharing breakfast with a group of camel herders returning home to Darfur having made their annual walk across the desert to sell camels in Egypt. Wherever I went I always read widely, and I had a lot of time to think and to reflect. The question of how one might lead a life that was more interesting and fun, more ecologically sustainable and socially just was always at the back of my mind. I returned to England in 1981 feeling that, for better or worse I was English and this was where I wanted to make my home. I bought a tumbled down ruin in a lovely old Herefordshire orchard, and took on a lot of debt and a lot of work. I also threw myself into supporting all the local environmental groups and causes. I joined the Ecology party, soon to change its name to the Green Party. Now, decades later, I’m still in Herefordshire, living in town, married with step sons and grandchildren. As I approach what for many people is retirement age I feel like my career is just beginning. I am now a pretty much full time writer and speaker and earn less than I have for any other job I’ve ever done but enjoy it infinitely more. Over these decades of campaigning for a better world I’ve become ever more excited by what is now philosophically and technologically possible and ever more frustrated by the poor quality of most of our politicians and media. There are so many good ideas, projects, policies and technologies that are not being discussed in the mainstream at all. Getting these things discussed and hopefully acted upon is the focus of my work now and I hope to carry on as long as possible. No retirement plans for me! 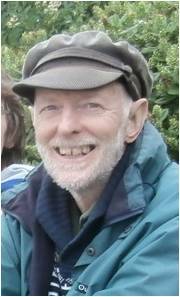 This entry was posted in Autobiographical on 14 September 2017 by Richard. I’ve never mentioned methanol on this blog, yet it is important both as a fuel and in many aspects of the chemical industry. It has a huge range of uses and can be made in many ways, many of which are very polluting. However some new innovations, making methanol from renewables and using it in fuel cells, look very good and may play an important role in the evolving cleantech revolution. Methanol use is expanding, and has mainly been based on methanol made from coal and shale gas. An alternative and very much better way of making methanol has been pioneered in Iceland by Carbon Recycling International. They use carbon dioxide from a geothermal power station and combine it with hydrogen, which they make by electrolysis, splitting water into oxygen and hydrogen, driven by surplus renewable electricity. Carbon Recycling International market geothermally made methanol as a fuel under the trade name Vulcanol. In Denmark Anders Korsgaard and Mads Bang worked on developing methanol fuel cells while at the University of Aalborg and have since founded Serenergy to commercially develop the most sustainable path to a methanol based economy. They recently spent five months working with the German energy company Innogy to convert an old diesel powered boat into the world’s first methanol fuel cell powered boat. On 25th August they launched the MS Innogy at Lake Baldeney on the Rhur, where it will act as a passenger ferry carrying over 100 passengers. Innogy has also developed a small experimental unit making methanol from electricity at the local hydro electric dam at Lake Baldeney and carbon dioxide captured from the local air, to supplement the methanol they import from Iceland. Methanol fuel cells look like being a competitor to hydrogen fuel cells for a whole range of transport technologies from boats to cars, trains, trams and buses. They might possibly one day be important in the global shipping and aviation industries. Serenergy are already selling their methanol fuel cells for a variety of uses, including for a few cars and to generate electricity for off-grid situations, or to help the grid in times of peak demand. One of the most interesting is for the telecommunications industry that requires very reliable power for phone masts, often at very remote locations. Good luck to Carbon Recycling International, Innogy and to Serenergy, between them they are pioneering what might prove to be a key part of the transition to a post fossil fuel future. This entry was posted in Energy, Transport on 5 September 2017 by Richard.